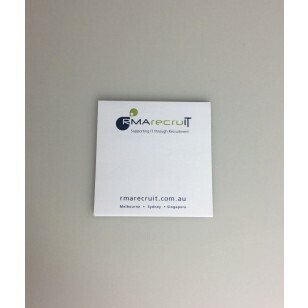 The displayed price for this sticky note, includes a 2colour custom print of your logo or graphic. The custom branding, occurs on each page of the product. The last page is a backing sheet that is personalised with your pattern of choice. There is no branding set up for this product. We deliver within Australia only. To place an order, we require you to supply your street address as we deliver using couriers who require a signature. Your artwork needs to be supplied in an EPS or PDF format saved with vectorised outlines. Turnaround time is 2 weeks. Faster delivery is available upon request.